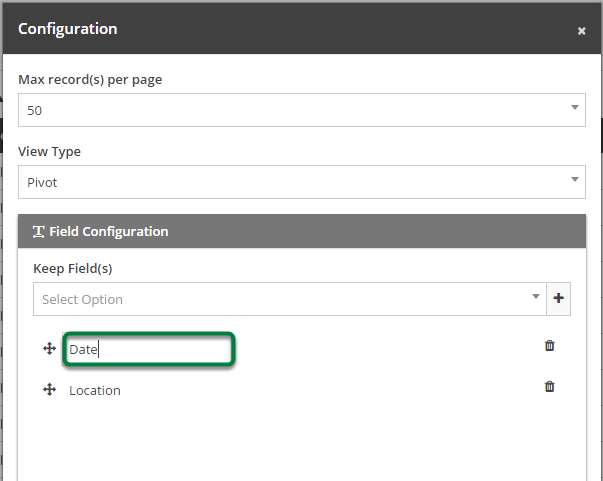 Documentation and SupportReleases Vidalia Release Notes 2016-02-09It is now possible to edit 'Keep Field' names in Pivot View configuration. 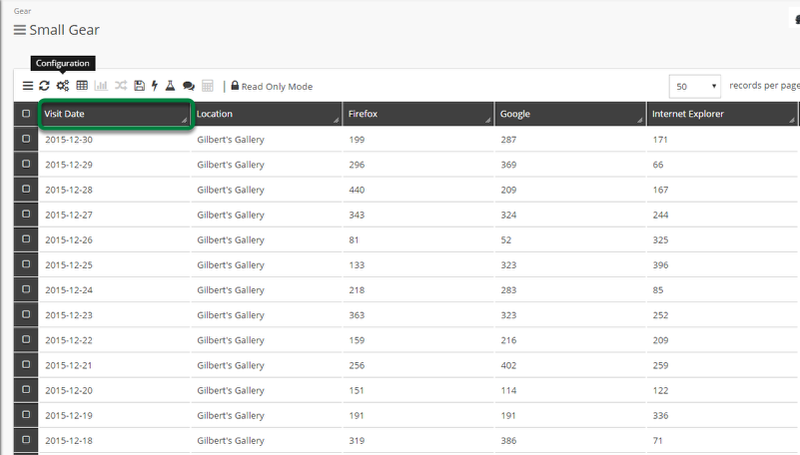 Click HERE to learn how to create a Pivot View. 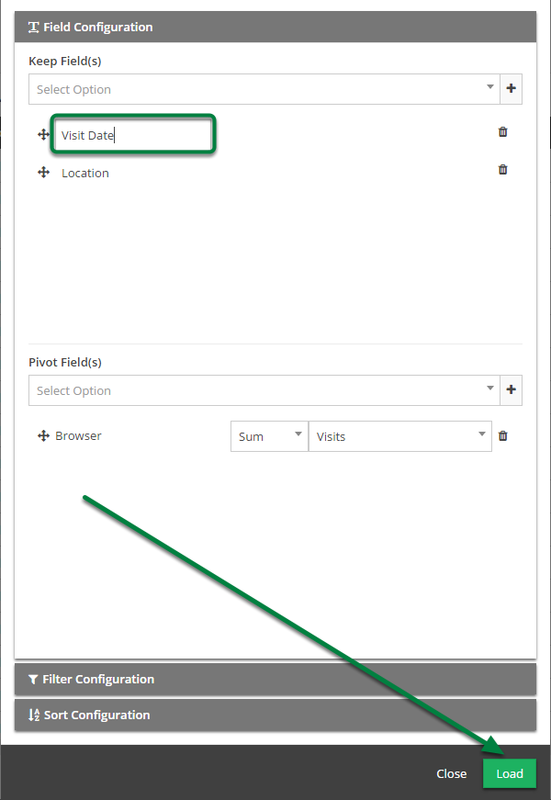 Click HERE to learn how to open a saved Pivot View. 1. 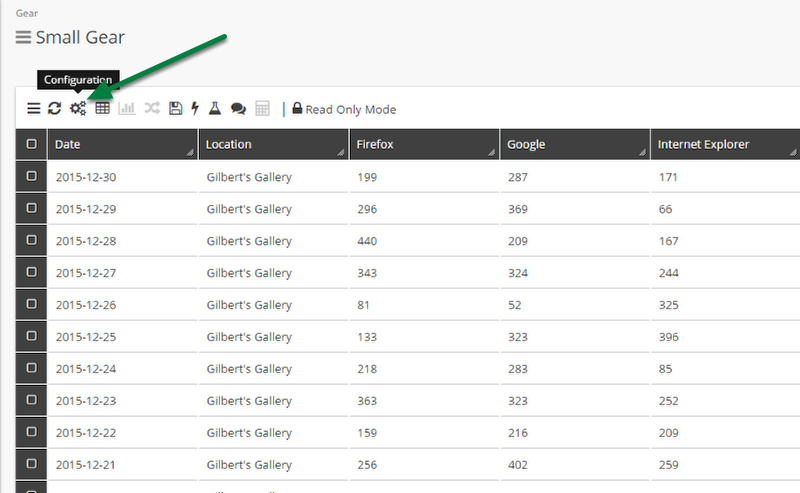 Open a Pivot View and click the 'Configuration' tool. 2. Click the name of the Keep Field(s) that you wish to edit. 4. The name of the Keep Field is now changed. Prev: Mail Chimp Connector Now Available. Next: Changing table name and containing folder now supported in 'Edit Table'.